The feature of low recoil permeability, along with the high coercive force, makes them highly resistant to demagnetizing fields. 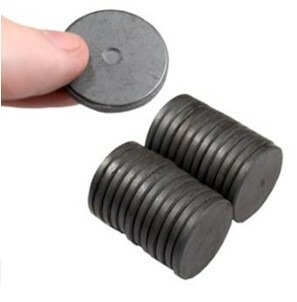 In addition, their relatively low specific density and economical cost are also very attractive to the magnet designers. When designing the ferrite magnets for a particular application, primary consideration should be given to its shape limitation due to the powder metallurgical manufacturing process and the temperature dependence of ferrite materials.